Relaxing on the tour bus after a concert, Lamont Sanders could still hear the shouts of “Encore!” from tens of thousands of audience members echoing in his mind. The Bible says your gift will make room for you, Sanders reflected, and it had. He had signed with Kenny “Babyface” Edmonds and Andre Harrell. His R&B group was performing to adoring fans, just like tonight. It had recorded an album that would soon be released. Life was good. 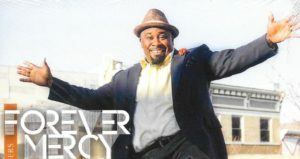 Now an independent gospel artist with a single, “Forever Mercy,” impacting radio since last October, Lamont Sanders is answering the call. The singer grew up in Willingboro, New Jersey, about 20 minutes from Philadelphia. To say his was a singing family is an understatement. Thirty-five of them formed a choir called the Sanders Family that sang at local programs and toured nationally. 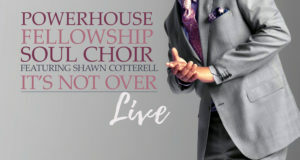 Within the choir were several independent soloists and groups, including the Gospel Specials, which included his mother and some aunts and uncles. It was while on tour with his group that Sanders encountered the presence and voice of God on the bus. The first thing he did was call his family. He told them he was not going back “out there.” He was going to do gospel music and would they accompany him? 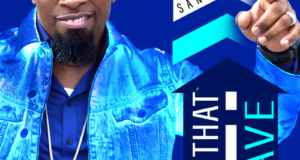 Entering gospel music in 2008, Sanders has since appeared on BET’s Bobby Jones Gospel and co-wrote his first single, “Forever Mercy,” with GRAMMY-nominated producer Dana T. Sorey. His style combines his many musical influences. “I’m like John P. Kee and Luther Vandross put together!” he laughed. 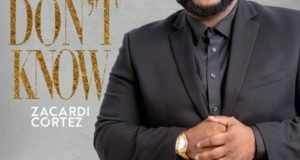 A second single is slated for release at the start of summer 2017, and Sanders’ album has an anticipated release date of early 2018. In addition to Sorey, other top-shelf producers involved on the album include another GRAMMY nominee, Johnnie “Smurf” Smith. The GRAMMY Award-winning Adam Blackstone, like Sanders a product of Trenton’s El Bethel Baptist Church, is also producing. Sanders is also meeting with Gerald Haddon. For more information, visit www.lamontsanders.com.